Product #5424 | SKU FSW02401 | 0.0 (no ratings yet) Thanks for your rating! Shortens recycling time and increases flash capacity. 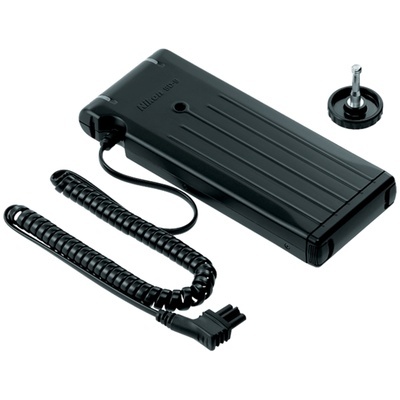 Compatible with the SB-900 only the Nikon SD-9 Battery Pack is used to greatly increase the number of flash firings of the SB-900 Speedlight, and also shortens the recycling time. It has a total capacity to hold 8 AA batteries, but can also be used with just 4 batteries. It can be used with any type AA battery, but provides the fastest recycling time when used with 4 quality AA Ni-MH rechargeable batteries.